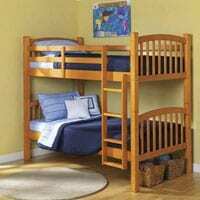 The U.S. Consumer Product Safety Commission has recalled Pottery Barn Kids “Madeline” Bunk Beds. The Williams- Sonoma company of San Francisco has announced that the end structure of the bunk bed can pose an entrapment hazard as children can get their necks caught in the opening between the post and the decorative molding. No injuries have yet been reported.